Shockwatch® and Tiltwatch products manage goods in transit and storage – recording impact and tilt. 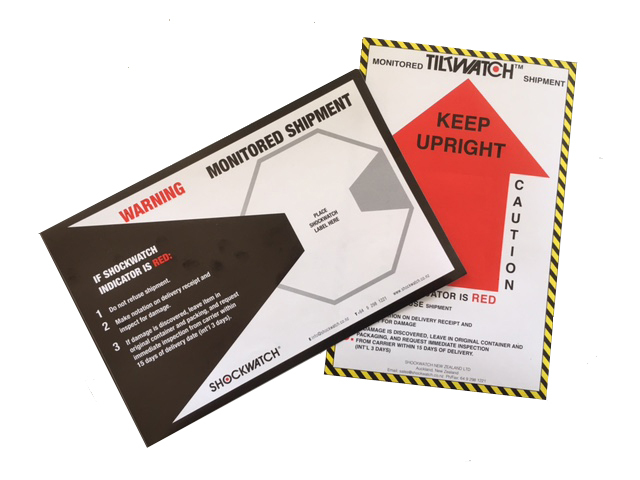 Shockwatch®, the global leader in the optimization of impact sensors for safe transit, offers a complete portfolio of products that protect fragile, impact-sensitive, and calibrated goods and equipment during shipping and handling. When used in conjunction with companion tools, Shockwatch solutions are a highly visible deterrent to mishandling in the supply chain. ShockWatch® impact indicators detect and record impacts and mishandling of fragile, sensitive, or calibrated products during transport or storage. 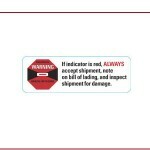 ShockWatch Labels, Clips, and Tubes are available in a range of sensitivities.